Tailgate Group LLC is one of the leading providers of grove tent setup in Oxford, MS. 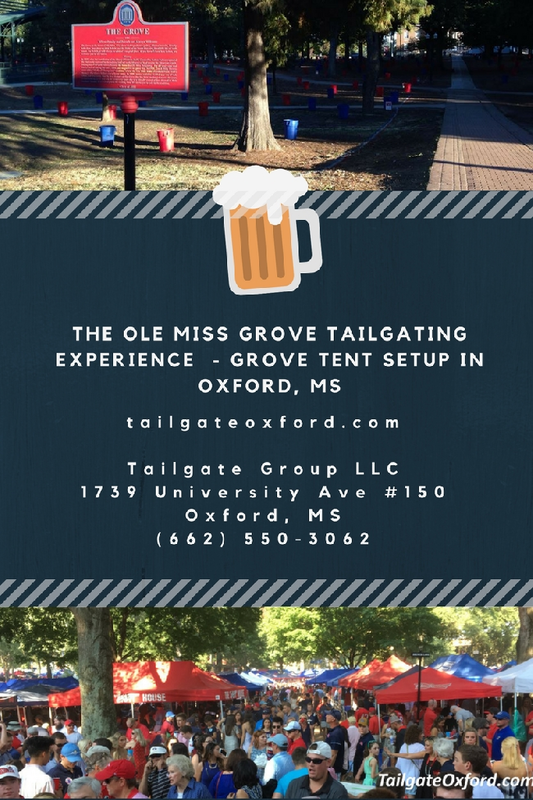 Whether you're a season tailgater or you just want to tailgate in The Grove for a couple of games, just pick one of our Grove tailgating service options and customize the way you want to experience the Oxford, Mississippi Grove. Tailgate Group’s standard “Grove Set Up” includes a tent, table, cooler, 9 chairs, and 5 coozies. All of our Grove equipment is of the finest quality.